The Galactic Federation of Light was founded over 4.5 million years ago to prevent inter-dimensional dark forces from dominating and exploiting this galaxy. At present, there are just over 200,000 member star nations, confederations or unions. Approximately 40% are humanoids and the rest are varied forms of sentient beings. Most members of the Galactic Federation are fully conscious beings. There is a galactic federation in each of the inhabited galaxies of our universe. These federations are part of the universal management structure much like field offices are part of the management structure for a large corporation. The Galactic Federation for the Milky way Galaxy is called the Galactic Federation of Worlds, but some of the races represented in our GF may call it by other names, hence the difference in the names given by the Zetas, Andromedans, etc. Each race, civilization, and planet has a council within the Galactic Federation to represent them. These councils vary in size depending on population as well as the amount responsibilities they carry within the management structure of the Galactic Federation. There are literally thousands of these councils since there that many races represented. The Galactic Federation is much larger than we may imagine. The Galactic Federation has one major overseeing council which has representatives from each member council. This council meets in the Great Hall. But each council has its own Great Hall. The Galactic Federation for our Milky Way galaxy is located in the Sirius star system. Our sun is a star gate to that system, and the Galactic Federation. That is why the dog star Sirius is so important to Earth and plays a significant role in our history. The Milky Galaxy Galactic Federation is the oldest Galactic Federation in this Universe. It was established at the end of the first Great Galactic War that was fought in the Lyra Constellation between the Humans, Reptilians, Felines and Carians. After this war, the survivors decided that they must establish some way to arbitrate disputes so that this kind of destruction (destruction of the Humans’ homeworld Avyon, the First Earth) would not occur again. Thus, the Galactic Federation was established with the founding members being Lyran and Orion. Their first flagship was Pelegai, one of the few ships intact after the war. This was a very painful time and the wounds of this war would take many dimensions of time to heal. In the beginning, the Galactic Federation was very small since so few had survived the war. The Lyran Council and Orion Councils doubled as the administrative arm of their new fledgling federation. In other words, they were the Galactic Federation. In time new races were created as offshoots of the original four and the Galactic Federation welcomed them as they reached galactic status, as we are about to do now. 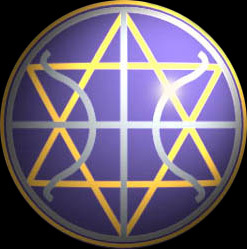 The main purpose of the Galactic Federation is to help in the Ascension process. This is why Light Beings have created for you helpful Master tools to participate in this process.